This page was created to fix the WiFi frequently disconnects issue on Windows 10. WiFi sense is the reason behind these frequent disconnects. In this article we’ll explain how to disable WiFi Sense. If you’re an Windows 10 user, you may have noticed that the OS has quite a few minor, yet nagging issues. Most of them are pretty easy to resolve, however you need to know what is causing the issue in order to fix it. 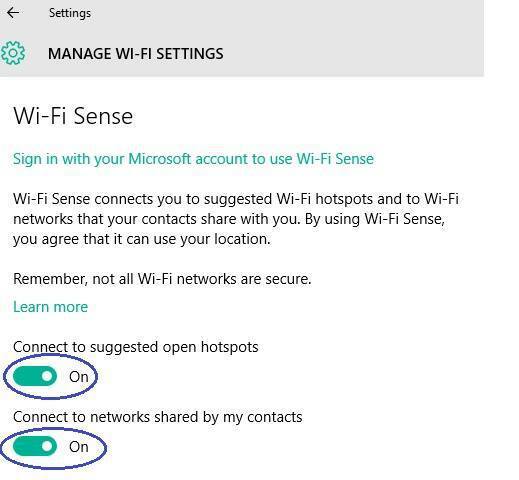 One such problem in particular has to do with Windows 10 feature called WiFi Sense. The general purpose if WiFi sense is that it is supposed to make your connection to WiFi networks easier and faster. For instance, your Windows 10 machine will automatically connect to open WiFi hotspots or such that your friends have connected to in the past. Additionally, this feature is supposed to choose the best/highest quality hotspot when there are more than one in range. All in all, a pretty useful feature (at least in theory). Theoretically this all sounds like a good thing, however there have been numerous reports of problems with the Windows 10 WiFi Sense feature, thus marking it for several patches/updates. Although they certainly helped, there continue to be emergent issues – not only with WiFi Sense, but with Windows 10 as a whole. Unfortunately, many users have reported that a problem occurred with their connection to wireless hotspots, namely that their computer got disconnected from a network that it has already been connected to, for no apparent reason (the WiFi frequently disconnects Windows 10 issue). Usually this is cause by the attempts of your WiFi sense to establish a connection to another network (that it considers more reliable or of higher quality). However, sometimes that other network is either protected by a password or inaccessible for some other reason, thus you’re left with no actual connection to the world wide web. What’s even worse is that even if you attempt to reconnect to the previous hotspot, minutes later the WiFi Sense feature will disconnect you all over again and re-establish its attempts to connect to that other inaccessible hotspot. This can be extremely annoying and frustrating, especially if you’re trying to get something done online and you constantly lose your connection to the network that actually works. Fortunately, the WiFi frequently disconnects Windows 10 issue has a pretty easy fix and in this article we will show you how to resolve this nagging problem. First thing you need to do is open your start menu and click on Settings. Go to Network and Internet and in the left panel you should be able to see a setting labeled Wi-Fi, click on it. 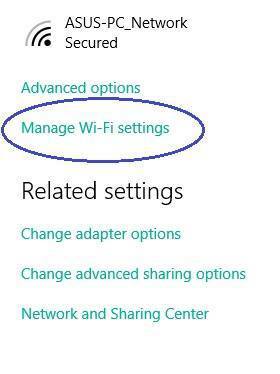 Now, in the right pane click on Manage Wifi Settings. 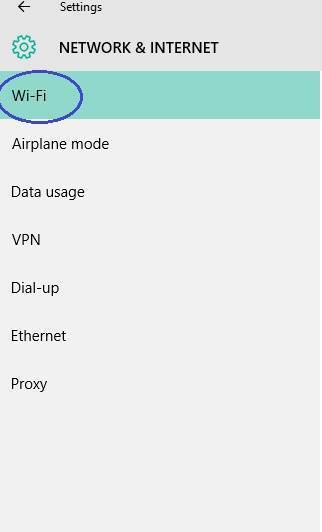 In the resulting window, you should be able to see the settings for your WiFi Sense (you may need to scroll down to reach them). Once there, find and disable the following settings: Connect to suggested open hotspots and Connect to networks shared by my friends. This should fix the annoying issue and you should no longer have any problem with unwanted disconnection from the network you’re using. Just remember to save the changes you’ve just made by clicking on OK/Save. If you ever feel the need to re-enable those WiFi Sense settings, you can do it at any time you wish by re-accessing Manage Wi-Fi Settings. What is True Key (by Intel Security)? Can You Use Messenger Without a Facebook Account? – Yes, check our guide! Do you have Administrator privileges on your computer?